I was looking for something to truly embrace the weird third of Weird Cool Dumb and David O’reilly’s film, ‘The External World’, fits the bill nicely. This short film’s description is unassuming – “A boy learns to play the piano”. If that’s all you know going in, you WILL be caught off guard. It is so much more. ‘The External World’ takes place in a strange animated universe filled with a wide range of different characters and creatures. The film cycles rapidly between different sketches/gags, yet always comes back to the main thread of the boy playing the piano. It’s quite difficult to describe the film accurately, so buckle up for weirdness and give it a go. So, what did you think? After watching (and enjoying) the film, I headed over to the ol’ trusty book of knowledge to uncover more about the term, “the external world”. This redirects you to the entry for “Reality”, which is a whole mind trip of its own, yet I was able to find a couple sentences that relate to the above film. There’s definitely a good bit of social commentary in the film and many internet/video game related cultural references. Perhaps the absurdity of the different situations in the film is a nod at the absurdity of the “external worlds” we create in our every day lives. 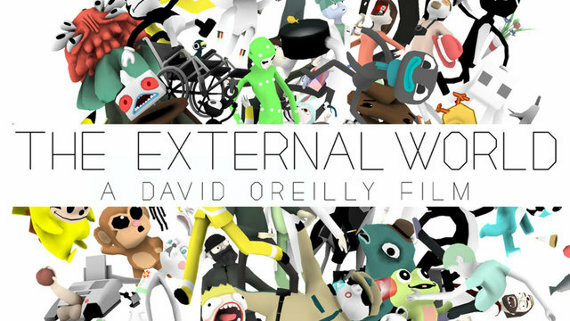 ‘The External World’ is entertaining, thought-provoking, and throws the idea that animation is squeaky-clean-children’s-fun out the window. David O’Reilly’s film deserves all of the many awards it has received.